We have many groups for our push notifications. It would be great to have a feature that labels or highlights the groups with unread notifications. @Austin Blair: Thank you for your response. 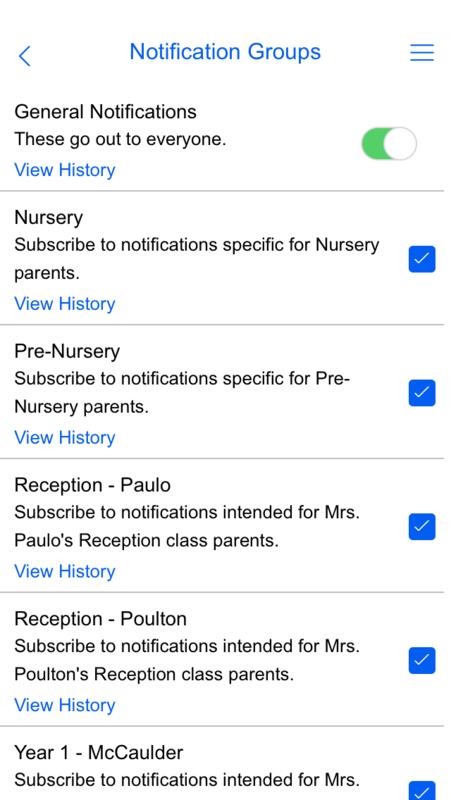 However, if the notifications can not be modified we will be changing to a different apps as it is not user-friendly for our parents and they are unable to easily access notifications that we send to them. We would like this page to show parents which group has an unread message. @Luis Miguel Paulo: Thank you for your feedback! You have a great suggestion. Our dev team is constantly working on implementing multiple additions and enhancements to our system, and while I can't guarantee when or if this will be implemented, I'll make sure to pass this on to them as I feel like that is indeed an area of our system that could be enhanced with you suggestion.